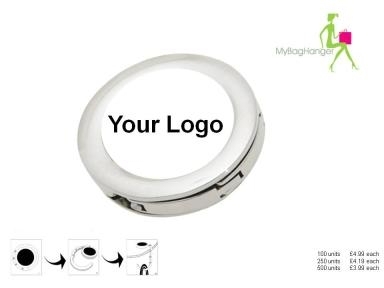 We offer to customise our handbag Hangers and hooks with any corporate logo or designs. 10 working days to produce an order of up to 1000 units. 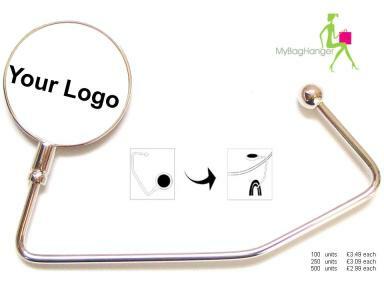 Our minimim order of branded bag hangers is 100 units. Please fill out the form below, upload your logo to receive a quote and an free artwork.